Lots of potentially useful medical information is getting lost. McGill researchers discovered this when they looked into the lack of reporting of information from “stalled drug” trials in cancer, cardiovascular and neurological diseases. 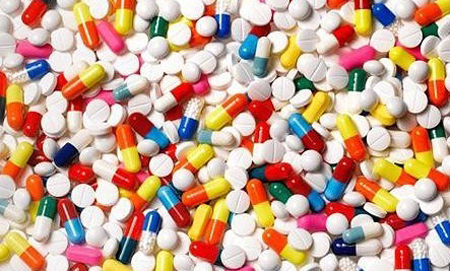 “Stalled drugs” are drugs that fail to make it to the market either because they prove to be ineffective or unsafe or both. Because only one in ten of the drugs that goes into human testing actually gets licensed, most of the information collected in developing new drugs is currently being lost. This is despite the fact that this information is critical for effective care, protecting patients, and discovering better drugs. Lots of potentially useful medical information is getting lost. McGill researchers discovered this when they looked into the lack of reporting of information from “stalled drug” trials in cancer, cardiovascular and neurological diseases. “Stalled drugs” are drugs that fail to make it to the market either because they prove to be ineffective or unsafe or both. Because only one in ten of the drugs that goes into human testing actually gets licensed, most of the information collected in developing new drugs is currently being lost. This is despite the fact that this information is critical for effective care, protecting patients, and discovering better drugs. Indeed, between 2005 and 2009, the period that the researchers studied, only about 37 per cent of registered trials for “stalled” drug trials were actually published. For the approved drugs developed in the same period, 75 per cent of the trials were published. Allow drug developers to discover what didn’t work, and then adjust the compound or method of delivery so that it might work for other conditions. For example, the drug Viagra failed initially as a drug for treatment of angina. We now know it to be a very effective drug for erectile dysfunction. Help us learn about the safety of other approved drugs. Often, trials of experimental drugs generate valuable evidence about the safety of approved drugs – especially if the approved drugs are in the same chemical family. Help drug discoverers learn about the limits of animal models and other experimental techniques. “When a drug works in animal models but not in patients, we have an opportunity to study why our model fell short and to improve it,” says Amanda Hakala, a Master’s student who is first author on the study. Contain safety and efficacy information that might be useful in other parts of the world. Often, drugs that are considered unsafe and ineffective in one part of the world are approved in another. “Failure to publish these trials deprives patients in those other jurisdictions of state of the art evidence of safety and efficacy,” says Kimmelman. Read the full paper in the British Medical Journal.